The Hollyfield Sixth Form achieved an ALPs certificate of Outstanding Progress this week, as a reward for being placed in the top 25% of 2,817 schools and colleges across the UK in 2018. This is a remarkable achievement and we are really proud of such an achievement. We have set up a Year 12 and Year 13 google classroom, to share important messages and key information with our students. All students need to join their year group classroom and can do so with the following class codes: year 12 e4tmcrk and year 13 68j6pk. Parents are also invited to join if they wish to do so. Year 12 and 13 parents evening is taking place on Thursday 7 February in the main school hall. We encourage all parents to come to meet their child's subject teachers to discuss progress and attainment. The evening is compulsory for all students. 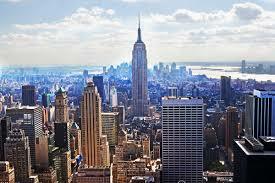 Mr Warren is in the process of organising an exciting trip to New York and Washington. The trip will take place in October 2019 and any Year 11 and 12 students that are interested need to see Mr Warren as soon as possible. The trip can only go ahead if there are a certain number of students.